Supervisor Vallie Brown has introduced an ordinance that would require brick-and-mortar businesses to accept payment in cash, if offered, for any transaction involving the purchase of any tangible good or service - other than Professional Services - and that transaction is physically present at the place of business. The objective of the measure is to ensure that the San Francisco economy is accessible to everyone by requiring cash as a payment method in brick-and-mortar establishments. ...services that require extended analysis, the exercise of discretion and independent judgment in their performance, and/or the application of an advanced, specialized type of knowledge, expertise, or training customarily acquired either by a prolonged course of study or equivalent experience in the field. Examples of Professional Services include, but are not limited to, services provided by accountants; architects; attorneys; engineers; financial advisers; insurance agents; interior designers; management and other consultants; and software developers. Notwithstanding the previous sentence, Professional Services does not include services provided by licensed medical and allied health care professionals, such as, but not limited to, doctors, dentists, and nurses. But licensure by the State or City does not in itself mean that an individual provides Professional Services; for example, a cosmetologist is not considered to provide Professional Services as defined. Trade or craft work, such as, but not limited to, shoe repair, tailoring of clothes, and dry cleaning, are not considered Professional Services for purposes of this Article 55. 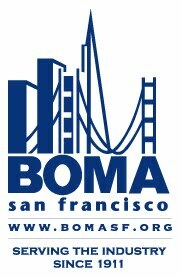 This measure may have impact on BOMA San Francisco member operations. Please email johnb@boma.com with your thoughts on the definition of Professional Service, above, and other comments you may have about the language in the ordinance.